Near the end of 2015, the National Football League Players’ Association created a subsidiary called ACE Media with the intention of using it to find new avenues for NFL players to broadcast themselves online and on TV. ACE Media recently celebrated its third anniversary with big plans to blow out its offerings over the next year by improving upon how it develops, identifies and produces content opportunities across all genres. The biggest thing that ACE Media has going for it is the sheer number of quality distribution partnerships procured to date. Those partnerships are with companies such as Fanatics, Epic Games (creator of Fortnite), Amazon, Twitch, Spotify, Turner/Bleacher Report, Sports Illustrated, E!, Warner Brothers, EA Sports, Facebook and CBS Television. ACE Media’s value is rather obvious. It is able to tap into the NFLPA, as well all of the players that it serves as the bargaining representative for, and leverage the access to those atheltes at scale in order to create a stream of content for the aforementioned partners. In fact, ACE Media prefers not to be known strictly for its connection to NFL players; it seeks to be a conduit for all types of professional athletes to become involved in various content creation and display mediums. 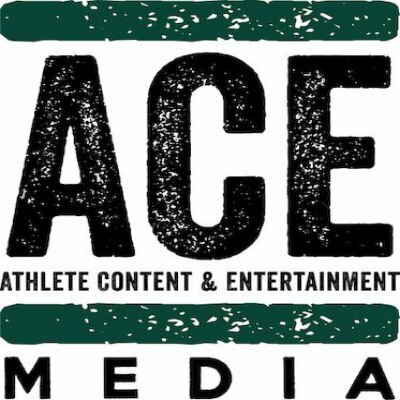 In the span of roughly three years, ACE Media has produced, created or facilitated over 2,000 different sports lifestyle content projects and collaborated with more than 1,200 athletes from the NFL, NBA, NHL, soccer and other sports. It has five full-time employees with plans to grow and leans on any number of internal NFLPA resources such as accounting, HR and its player services department. ACE Media has also forged relationships with various brands such as Barclay Card, Delta Private jets, Nike, Fanatics and EA Sports. For the most part, the brands that ACE Media works with are licensees or sponsors of the NFLPA. However, ACE Media recently retained Allied Sports as a branded content salesforce. That entity will be out in the marketplace identifying new brand partners for ACE Media. Some of the content that ACE Media is responsible for producing includes Tuesday Night Fortnite presented by Fanatics (produced in partnership with Epic Games, Twitch and Find Your Battlefield), Catching Kelce (reality dating show with NBC Universal/E! Network), Franchised: Kirk Cousins (NFL Network) and the Players Voice Awards (National Basketball Players Association). “One of the shows that we did that I’m most happy with was the live talent show that we did on CBS last year called Most Valuable Performer, simply because it kind of epitomizes everything we are trying to do — cast athletes in a light that they haven’t been seen in before,” says Langerman. However, Langerman’s biggest test may be whether he is able to take his model and use it with more athletes beyond the NFL. He is currently working very closely with the U.S. Women’s National Soccer Team, which really serves as ACE Media’s first strategic content partnership exercise where the company must take a team of players and find content opportunities for them, instead of vice versa.